DIY Electric Car Conversion Kits – Help Put The Gas Guzzler On The Endangered Species List! Electric car conversion kits are hot items for those who realize that the gas guzzler will soon be on the endangered species list. Convert! Transform it. Just build your own electric car from the "ashes" of your money- draining environmentally unfriendly car. Or have someone do it for you. Build electric car? Sure can! EV conversions are for real. Read this find out how you can get yourself into your very own money & emission-saving car too. It's truly amazing how necessity remains the mother of invention. Well, re-invention really. Electric cars are actually the fore-runner to your gas guzzler – and the hybrid vehicle. Old technology reborn. Oil prices will continue to rise. You can count on that. drivers who thought the 08-09 fuel price dip was here to stay. So fuel-efficient vehicles are rising fast in importance as peak oil production is as close as 2010 – 2013. Download your preview of an electric car plans guide here - with my compliments! Or just download the entire guide here. Done by Les and Jane Oke who built their own electric vehicle when others were dreaming about them. They live well – off-grid! It's the way to survive and thrive. 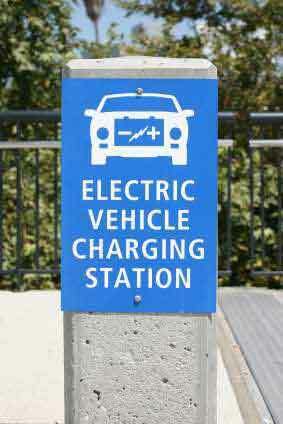 Electric cars are 90% cleaner in emissions than gasoline cars and cost only cents per mile to drive. The ONLY moving part is the electric motor and you can "refuel" anywhere where there is a power point. They are very reliable and virtually maintenance-free. Say goodbye to oil, filter and coolant changes. Pretty impressive, you say. Electric car conversion kits make sense! So, why don't we all drive one now then? Well, you may not know it but there are thousands of these silent electric money-emissions savers driving on our roads already. Still..., good question, begging Government/Big-car-company conspiracy answers as in . But I won't go there right now. It's our own fault too! Things have been pointing to declining "cheap" fossil fuel stocks for a long time, certainly since the 70's oil crisis - in my living memory. So, it's time to wake up, re-think reality and apply courage and creativity under difficult circumstances. That approach never fails. It's happening, some of it in the most unlikely places. Just look here how Gaza engineer Fayez Annan turned the severe oil squeeze on Gaza into opportunity by making up his own ev conversion kit for his Peugeot. Now hundreds of Gazans are zipping around in their highly fuel-efficient vehicles, in their tiny country, at around $2,500 per EV conversion! That's a cheap electric car alright! And soon the Israelis will be able to drive EV's - on rental plans, like mobile phones, would you believe. Yep. The EV idea is ready to take form in our lives. Such grassroots-based electric car conversion kits are among the harbingers of wider change. Certainly as the car industry is now cashed up with President Obama's economic stimulus package. Wait and buy new or DIY now? Electric car conversion kits anyone? As far as transport goes electric vehicles are a powerful response to the limits of our environment and your budget. With electric car conversion kits you might pay somewhere between $3000 and $10,500 to build electric car yourself. And you get some handy tax credits back, if in the USA. Doesn't compare too badly with $35,000 or so, at the very least, for a factory-line electric vehicle like the Toyota Prius, i MiEV Electric Car by Mitsubishi, the XS500 Electric Car by Miles , the Tesla Roadster or the Chinese E6 Electric Car by BYD. The company has stated that the vehicle will be priced below $20,000. Can you wait till you can afford one or till 2010 or whatever, when these come into production? Electric car conversion kits look much more affordable. Then again, perhaps Honda's latest Insight hybrid will be the thing for you, reportedly to be priced below $20,000. But I'm digressing. A hybrid is not an EV. But if you're neither AC or DC about this, these diesel/electric hybrid plans may interest you. So, what electric car conversion kits options do I have? New EV's are pricey. We covered that already. You can actually buy used EV's on eBay and on EV Trading Post. You can also check out your local classified ads on Electric Auto Association local chapter websites..
What kind of car do I need for my electric car conversion kit? Well, what are your needs? A range up to 80 miles perhaps? Or you live in the city where most people don't need more than a 4-50 mile range before recharging? If a longer range you will need a vehicle that is capable of storing a lot of battery power. In turn that means a heavier, larger frame. If the shorter range is just fine for you, with speed performance, best to use a small, light, aerodynamic car with high-performance suspension. Look around, consult experts, choose well and you'll keep your electric car for a long time. How far and how fast can you go?In miles most converted cars manage a range of 25 to 35. And most truck conversions have a range of 45-50 miles. These ranges can be doubled or tripled with Lithium batteries. In fact, one Ozzie EV conversion specialist claims he can get yours to go between 30 – 200km at speeds that suit learner drivers to car enthusiasts. That makes the sky the limit. Or, rather the limit of your budget! Here are some great photos of a gasoline-to-electric-truck conversion for about $10,000. The page loads slowly but will be worth your wait. Some claim you can get all the parts to do it yourself for around $300 but I am a little sceptical about that. Lithium batteries for a start are not cheap. Really DO want to prove me wrong? Great! Do it here and publish your evidence on this site. Make it as good as you can. Cost of parts, photo record, video. Your electric vehicle conversion kits project will help other EV enthusiasts. List your favorite EV converters here too! And isn't it interesting that just like for DIY hydrogen gas generator technology, EV conversions take what's there (your car), take out the cause of the one-way drain on your wallet (gas, or petrol cost) and replace it with a custom-made solution, where you bypass the big automobile industry? It's not so crazy though to link hydrogen gas and EV. Cars powered by fuel cells, which make electricity from hydrogen and oxygen, rather than rely on bulky batteries, are in the pipeline. They will not have battery-imposed distance or speed limitations. But... They're not available yet. But the HHO gas option is not for you or you would not still be here. And yes, EV conversion kits will deliver you a clean machine, one you can drive for many years. So, if you're up to it, work with your electric car plans yourself, or find someone to do it for you. Where Can I Find Someone To Do An EV Conversion For Me? There are various places. Here's a list of garages that do EV conversions. There is also Wilderness EV in Utah and Convert Ur Car in Sydney, Australia for example. I will add more here as we hear of great EV conversion businesses. Cannot be bothered tinkering with your car? Check out car auctions for an affordable green car. We found a 2007 Toyota Prius for under $6000! Itching to go? Download the full electric car conversion kit guide here. Hybrid Cars - A Bridge To The Electric Car? Want To Tell Us About YOUR EV Conversion Project? Electric car conversion is hot, certainly as long as people have cause to worry about their personal expenditure and about effects of global warming. Are you doing an EV conversion? Share it here! Want to recommend EV convertors and parts suppliers? Look in YouTube under "electric nissan 1400".It's not cheap and fuel engines is still the best. Would I be able to convert my 1957 Belvedere and/or 1962 Ford Falcon into an electric car? I'm thinking about making a sidecar for one of my bikes it seems like it would easier to mount a motor controls and battery. Has anyone done an suv yet it seems you could save money around town. There is no parts to buy here so I had to make almost everything. Approaching your esteemed entity via internet and it is our pleasure to write you. The ZOTYE is a new Chinese-made high performance electric car. New EVs are not really pricey, the Xebra sedan from ZAP, costs about 11 k or so.